In this last week of the races, all the boys raced together with their handicap times in the same race. Despite some traffic pileups and blockages mid race – it was hailed as one of the best races for all the boys. They were certainly pumped after the race. The variety of learning and racing exposure they get through their years rowing with Melbourne High is challenging, yet incremental. Finn was first across the line, followed by Oscar and then Joe. Nick, Justin, Harry and Abby were also in the race with Shen and Leo having competed earlier in boats referred to as tubs. You can view the complete album here or just enjoy the slideshow below. During the past weeks we have been treated to two shocking days of bad weather out of the five and the other three have been ideal rowing and viewing days, starting off with balloons making their way over the Yarra before the races start. This weekend will be races on the Maribyrnong River, which apart from being close to where we live is an equally picturesque spot to take a walk and check out the rowing activities. Your donations and support help fund this! Being a Government School, The Melbourne High School Rowing Club struggles to attract funds for activities at the same levels as the private schools it rows with. Coupled with a traditionally smaller cohort than say the Music Fraternity or other co-curricular activities, it is doubly difficult to muster support for raising funds. One very fair question parents can ask is “Where does that money go? What is it spent on?”. Good questions and in this article I want to provide two good examples from this last year of where donations have been invested. 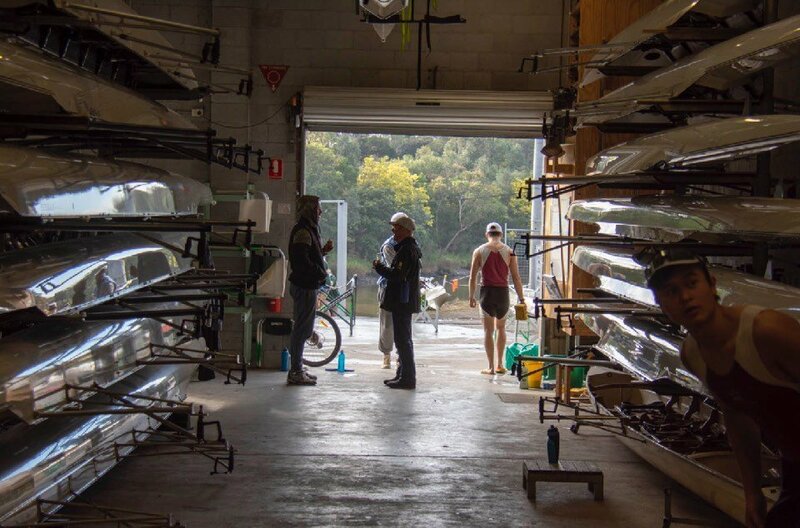 Everyone talks about our new boat shed, referred to now as the Yarra Centre… It is a big ticket item and fortunately any donations to that fund are tax deductible. Although having a club house, a destination, a place to store the boats is important and is a dream that is as old as the +100 year old school itself, it is not where boat races occur. Continue reading Your donations and support help fund this!